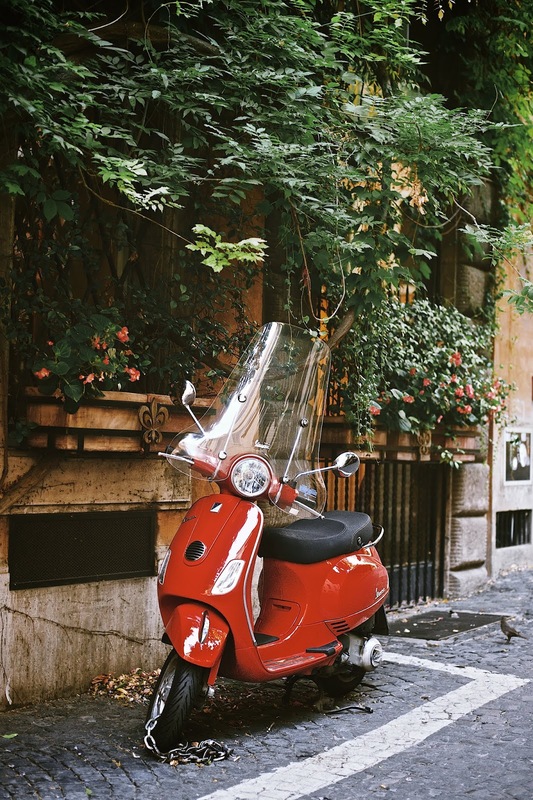 Rome is L O V E.
Not just because of the fact that if you spell the Italian word for Rome, "Roma" backwards, you will find "Amor" – meaning Love, but rather because of the fact that Rome is sure to cast a spell on you the minute you take your first steps on the city's winding cobblestone alleys. 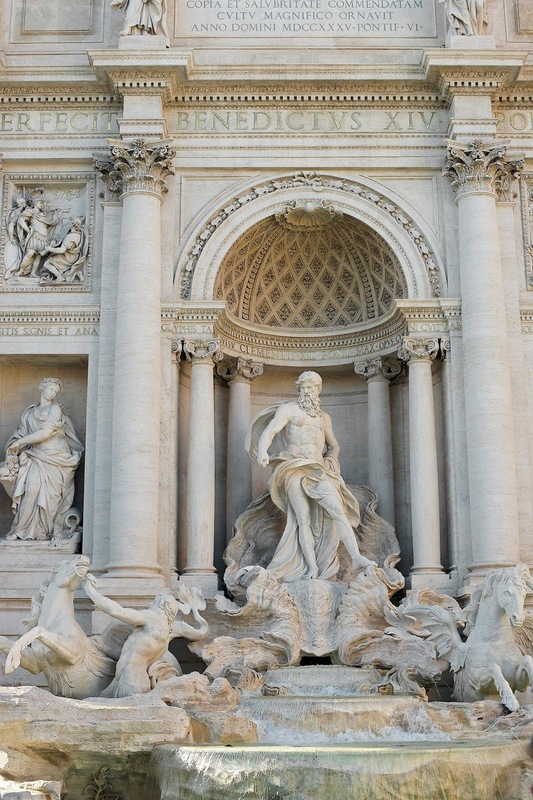 Gathering energy from ruins and relics of its past, from the splendor of its art, churches, and culture along with the glory of its cuisine and coffee, Rome possesses this powerful force in the Universe to make you look at it with the glistening eyes of a lover, eventually winning your love forever. 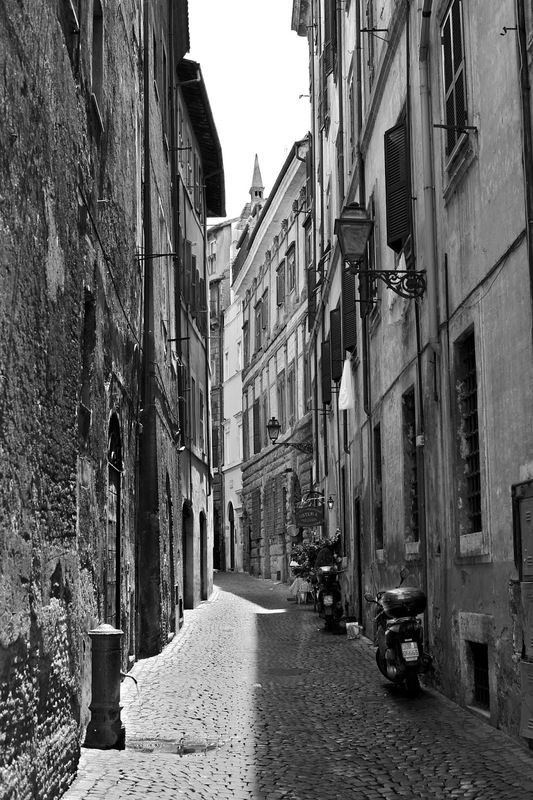 I know that one man's Rome is not necessarily another's. 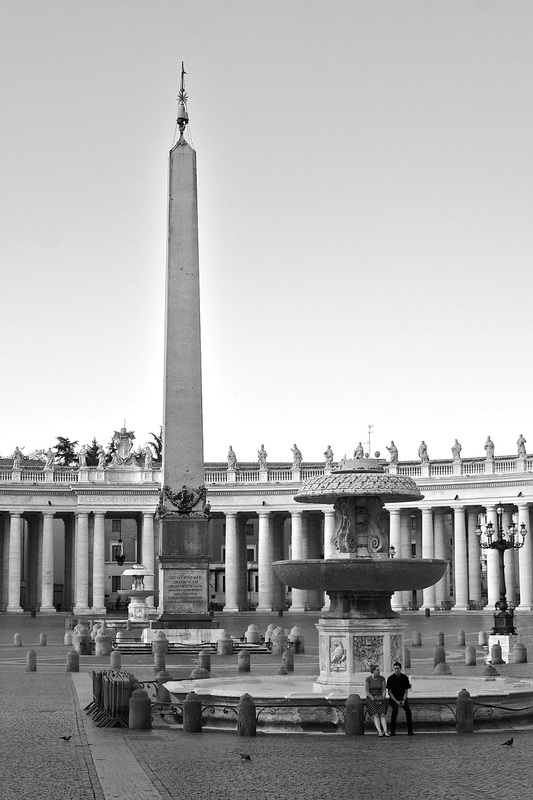 My Rome is the one shining in the rising sun. 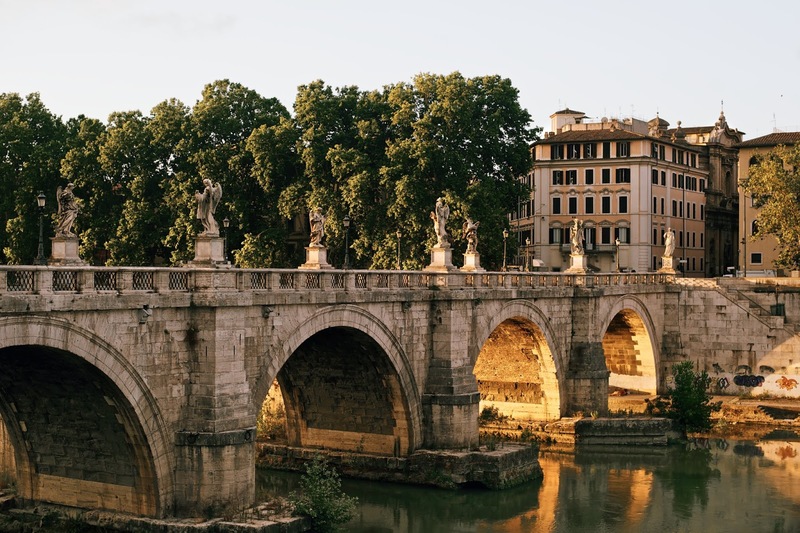 If I am eager enough to get up early in the morning, it will reward me with the warm embrace of empty bridges, fragrant bakeries, and fresh laundries. I love to walk until my feet kill me and I can go no further. 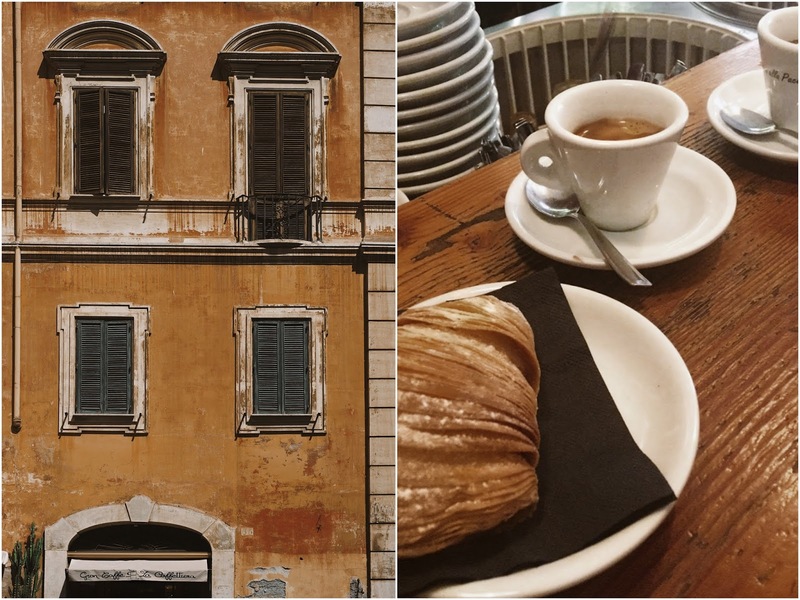 Lost somewhere among the maze-like cobblestones, I will then relax over the best espresso in the world in a café standing elbow-to-elbow with locals. I will then resume. 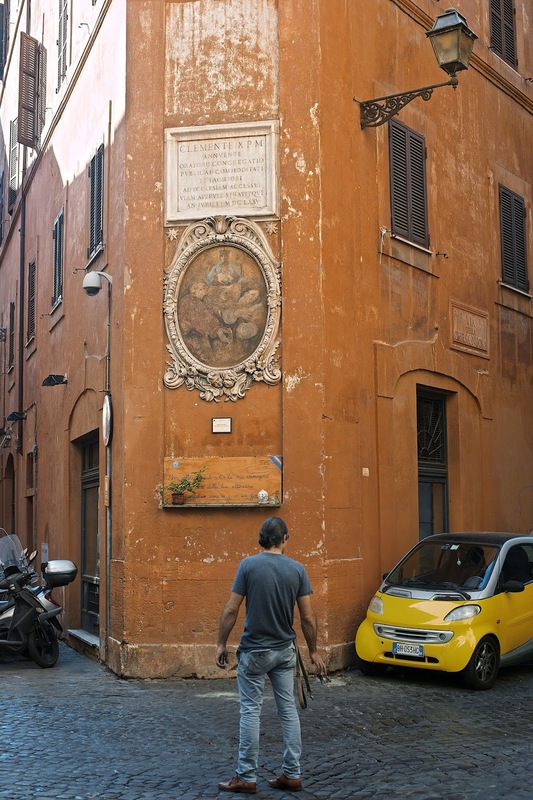 Because in Rome, there is always a door of a newly discovered church to open with who-knows-what exquisite art or architecture within. 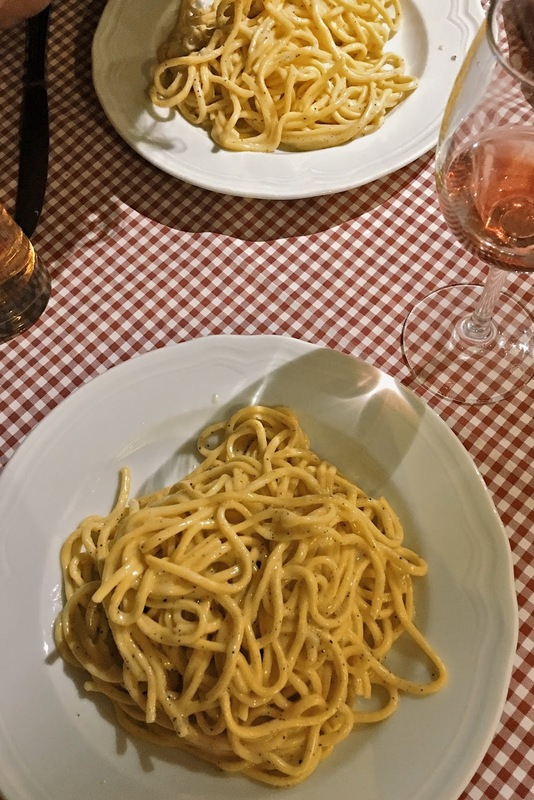 There is always a little trattoria with the most delicious creamy pasta cacio e pepe to enjoy on a red checkered tablecloth. 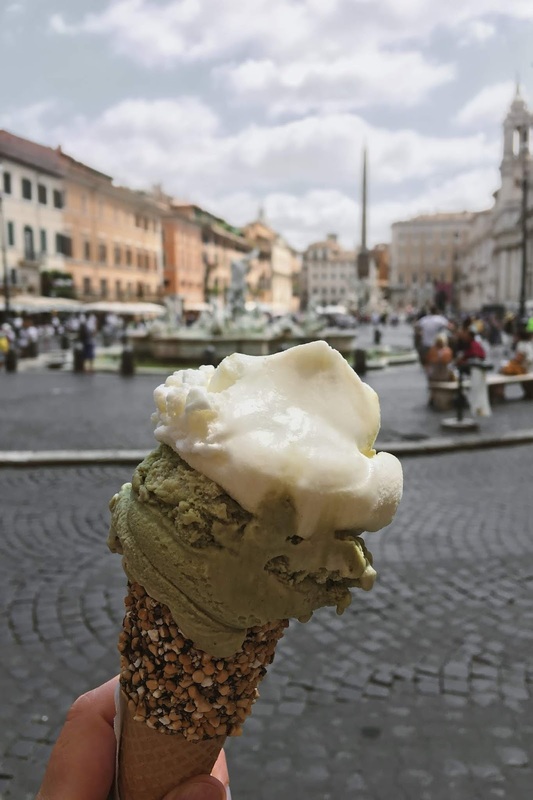 Or a gelateria with who-knows-what kind of dreamy flavorful ice cream to try. 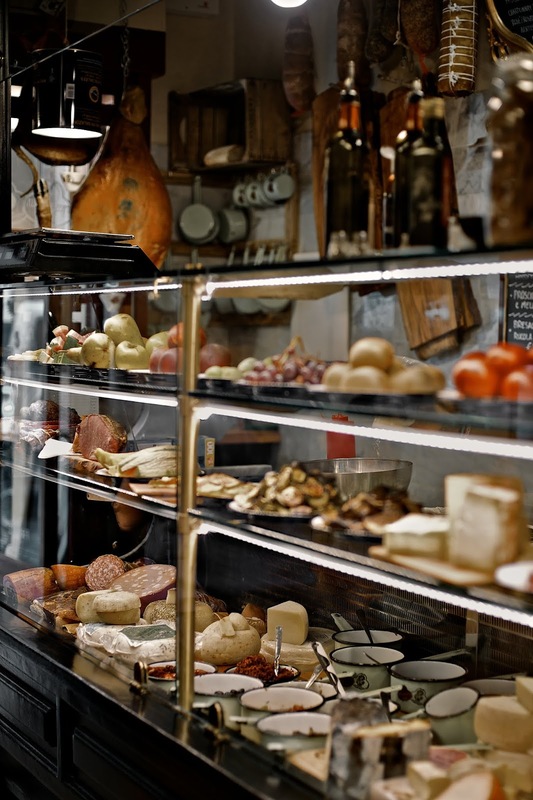 Or a fresh food market with seasonal produce and happy vendors, unveiling a true cultural experience of the Italian way of life... 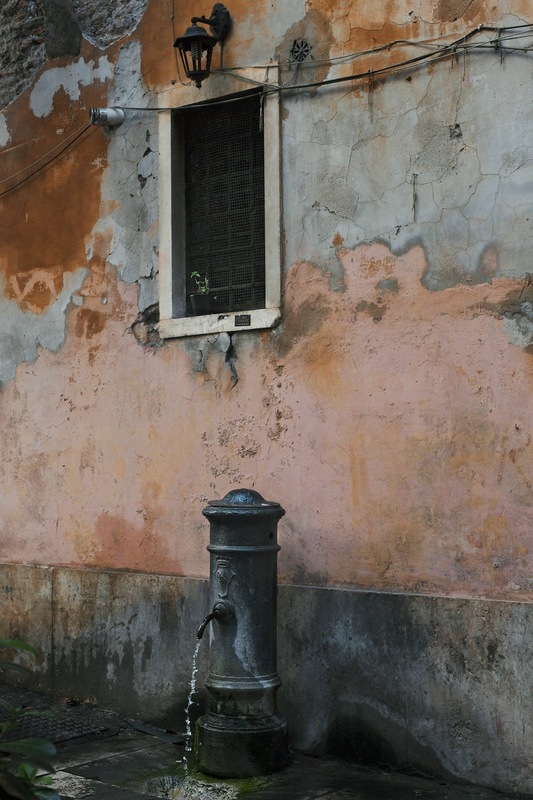 This city begs to be uncovered at every corner with happy accidents of everyday simple beauty. 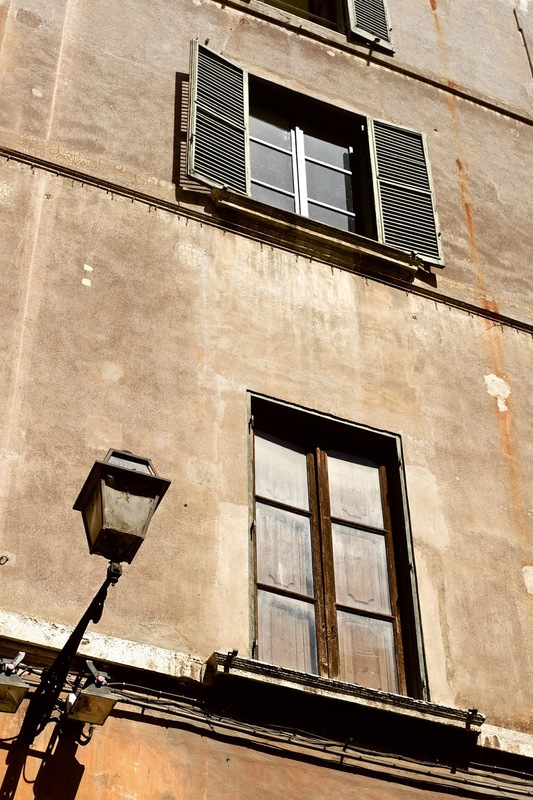 My Rome is the one that possesses the most beautiful old walls coated with every stunning shade of ochre, rust, and terracotta. 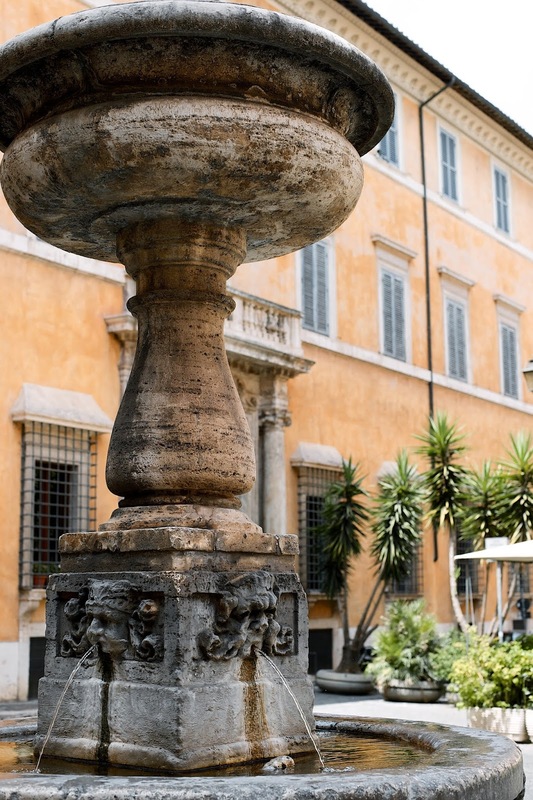 From the hues of the ancient gold, through the earth tones of the clay pots, to the color of the dark coffee crema, Roman buildings are a visual feast for an artistic eye. 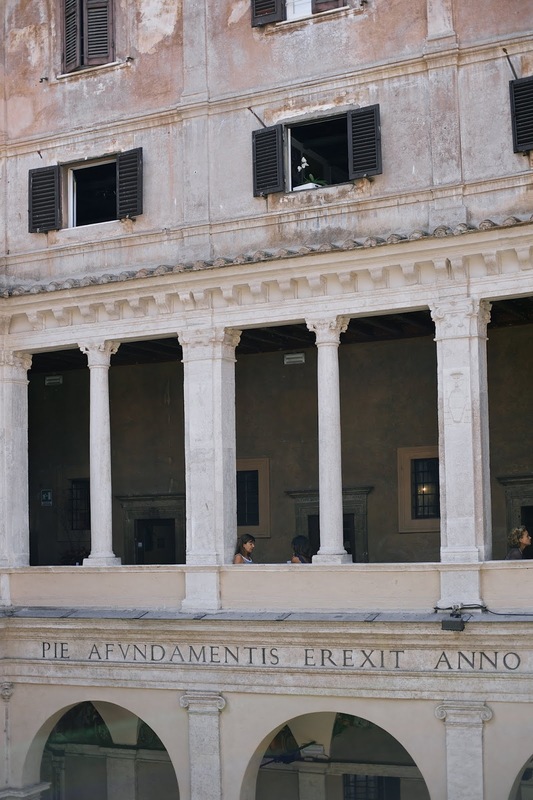 In fact, following the legacy of Early Rome and the characteristics of past creative work, the regulation of the city of Rome limits the variety of colors building owners can use to paint the facades of the city. 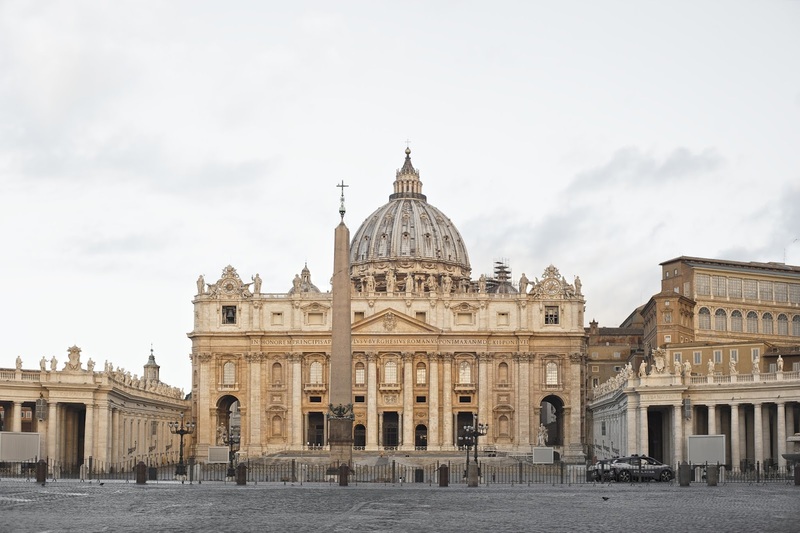 When you enter the magnificent St. Peter's Basilica and turn on the right-hand side, you will find yourself breathless in front of one of the world's most famous sculptures, carved and sighed by the 24-year-old genius, Michelangelo Buonarroti. Pietà depicts Mother Mary, holding Jesus' lifeless body on her lap. Observing all the beautiful lines, the expressions of the faces, the softly-falling light, you cannot help but feel the greatest human suffering alongside the greatest human love. You are in awe, your heart is filled with tender and astonishment as you shrink to a tiny mote of dust, insignificant to the Universe. 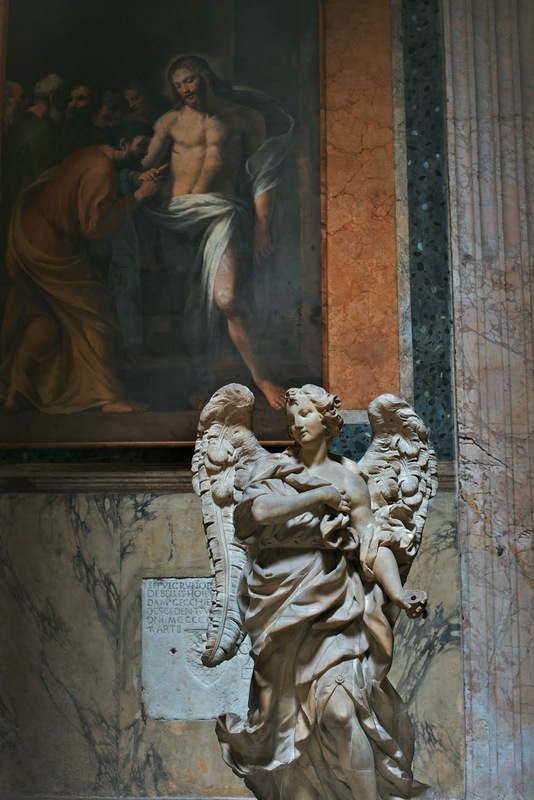 The second most impressive thing to me about Bernini are the two simple pieces of carved marble on the floor to the right-hand side of the main altar of the beautiful Basilica Santa Maria Maggiore which are apparently his tomb. 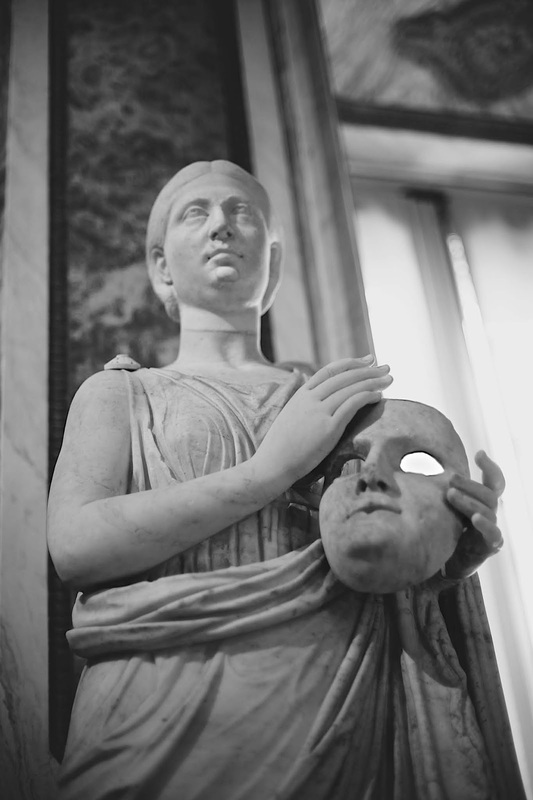 Not a grandiose monument, not an ornated sarcophagus with wreaths and sculptures with lavish elements – one can definitely miss it if he or she is not looking for it. 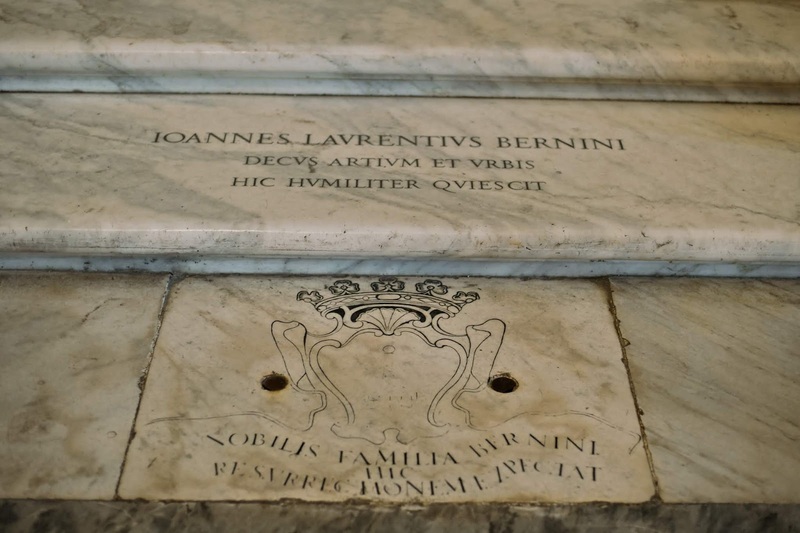 After Bernini died in his home in Rome, he was buried with little public fanfare, in the simple, unadorned Bernini family vault, together with his parents. Food for thought, isn't it? 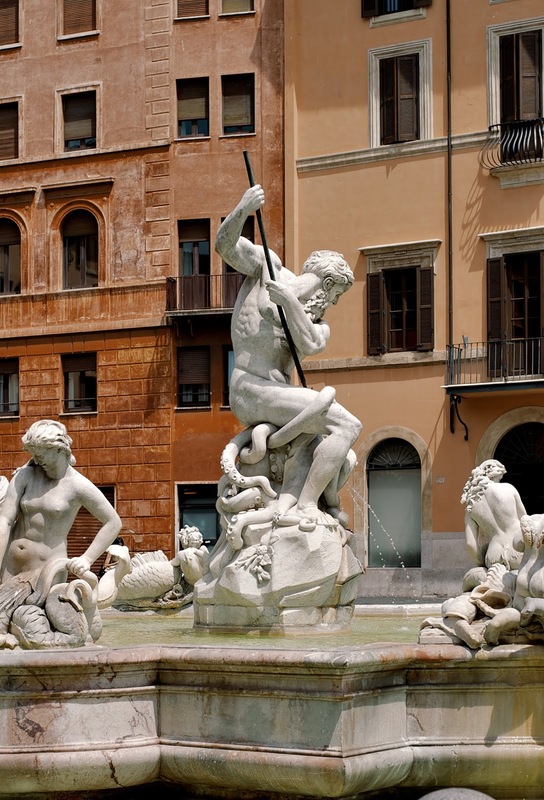 My Rome is an art gallery where with every turn of my head, I can immerse in "work of art". 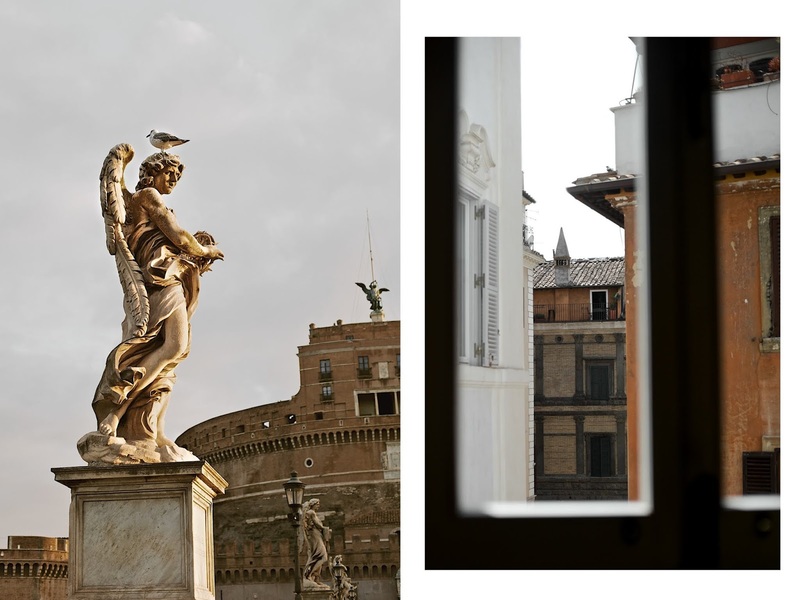 Layers of history and amazing examples of Rome's greatness and effortless elegance (which Romans live and breath in) are looking at me with readiness to tell their secrets and share their love for life. 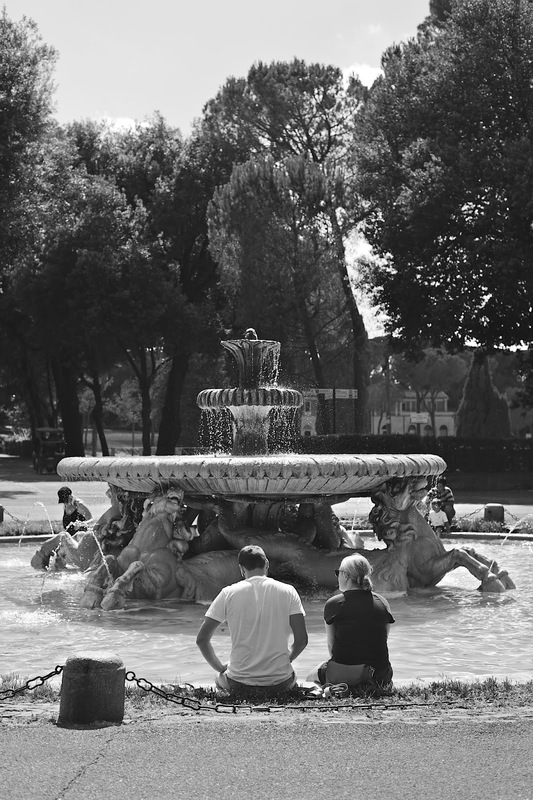 My Rome is a Dolce Vita textbook. Forget the extravagance of modern life. 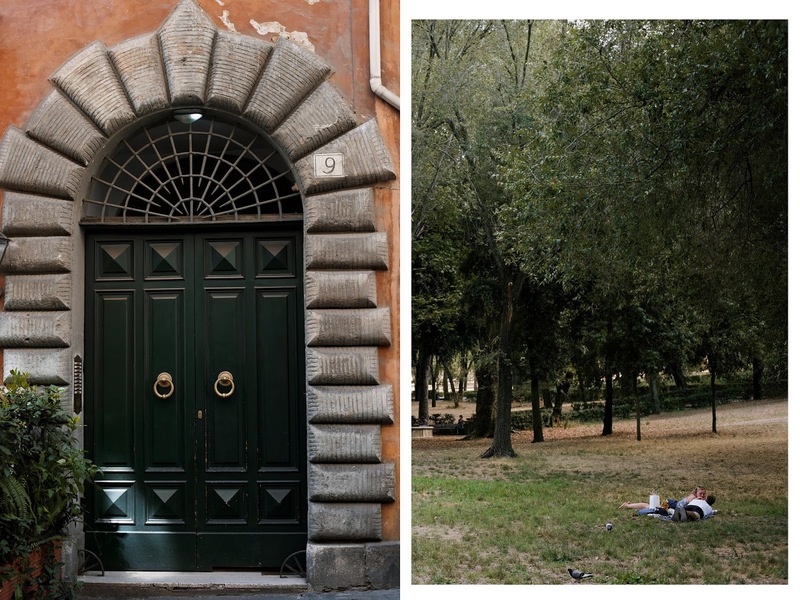 Embrace the apparent contradictions of the capital city. 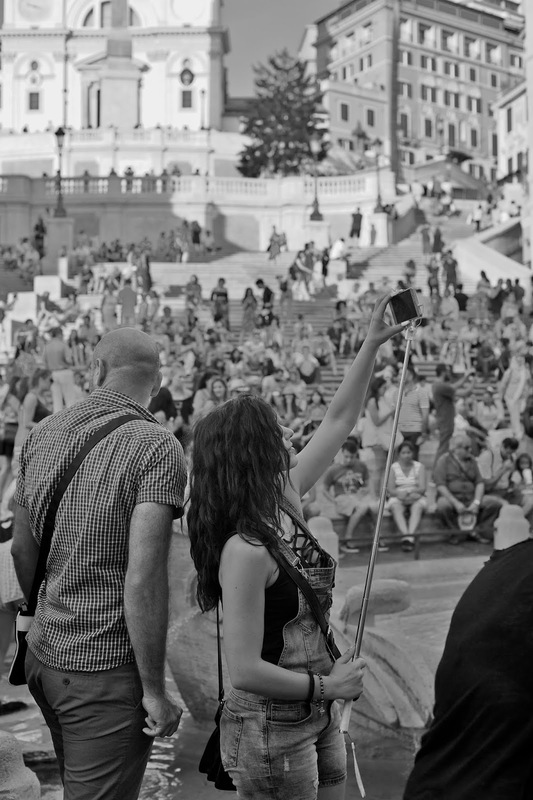 Ignore the desire to visit everywhere and see everything. 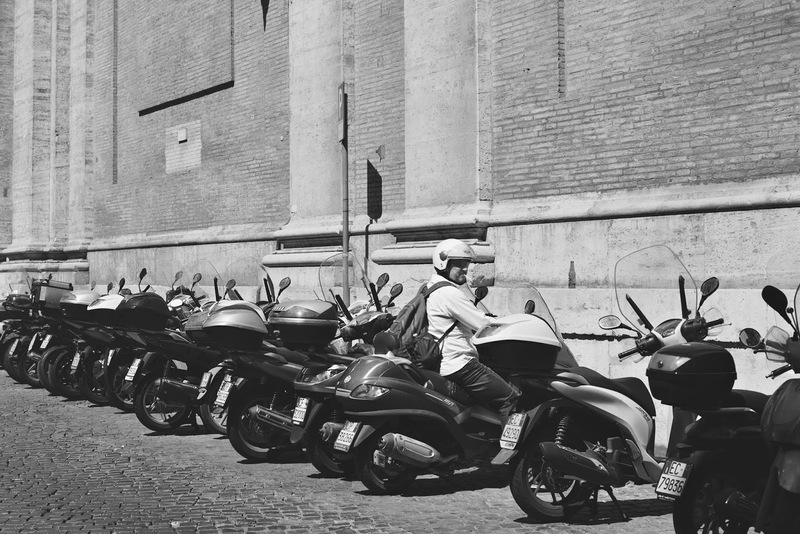 Wander the streets with no destination. Just sit and breath in every surprising discovery, in each bite of your Margherita and sip of fresh water from the "nasoni' drinking fountains, in every technique of the artist's paintbrush and every 'ciao' and 'prego', in every Vespa zooming around you... (OK, I know the Italians talk fast and drive even faster, yet among the many forms of arts, they also master the art of slow living). 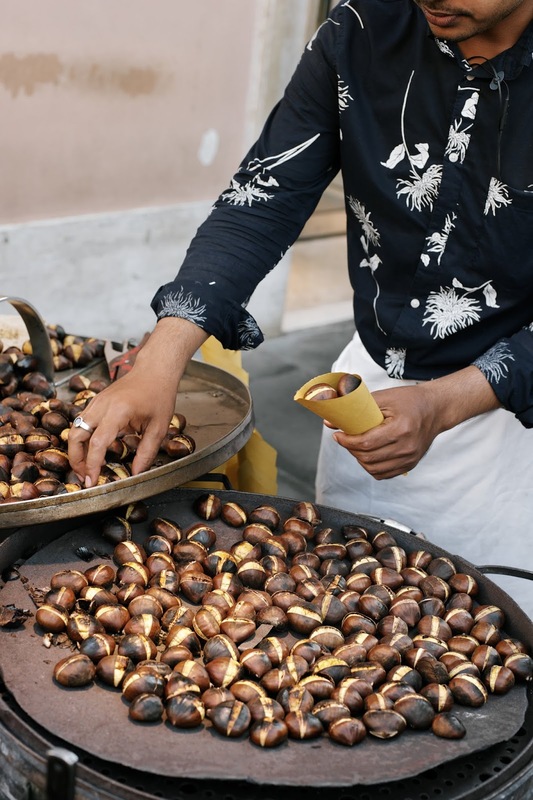 If you simply try to spend your days in slowness, appreciating magnificent beauty and enjoying simple pleasures, Rome would love you for that. 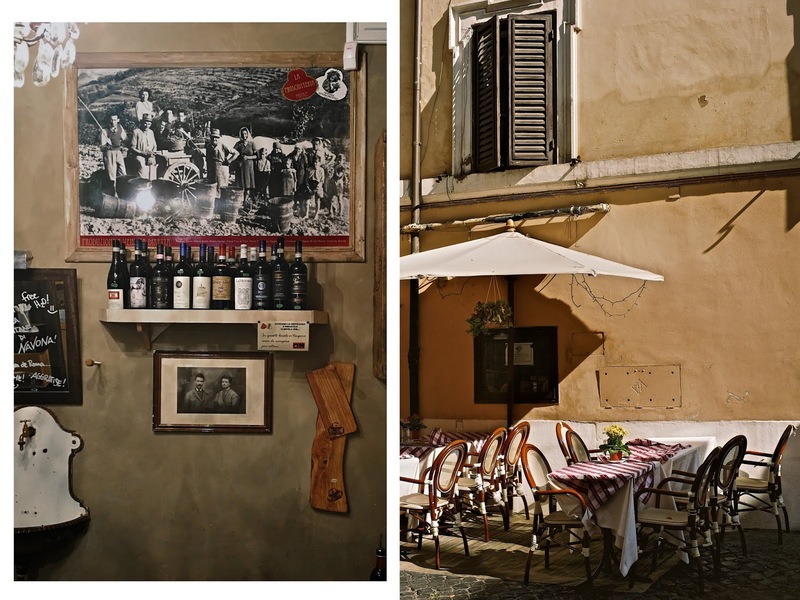 "Every moment deserves amore", I was told by the charming waiter while he was pouring wine in my glass. 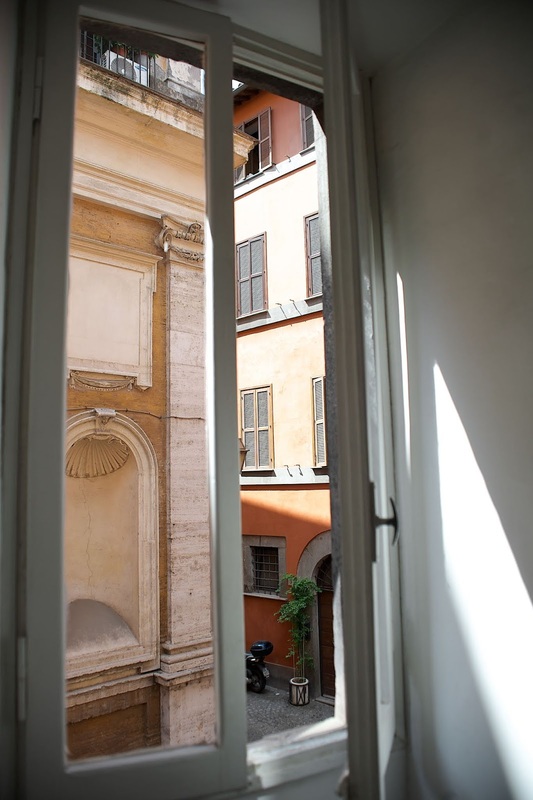 For a real authentic experience and a chance to sample what life as a local is, stay in an apartment whenever you can. I highly recommend the studio which we had the pleasure to live in. 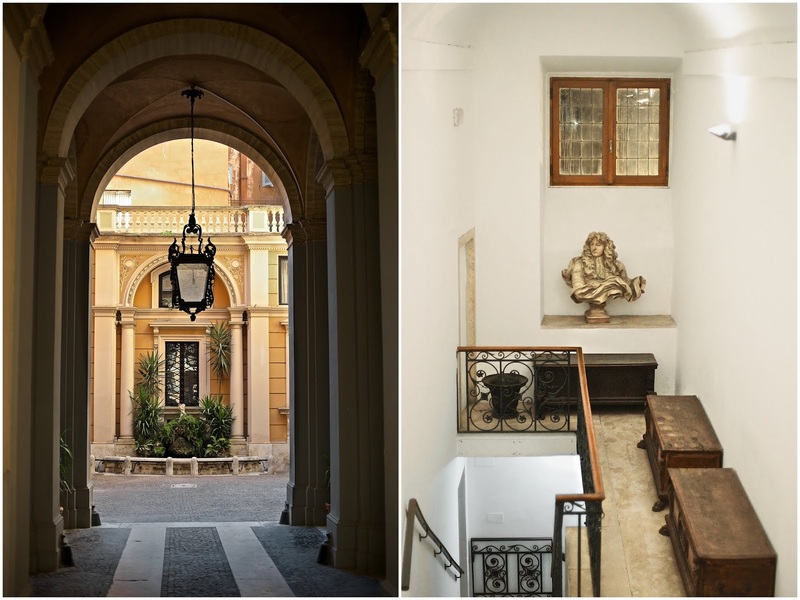 Located in an ochre-colored historical building on a quiet street between Piazza Navona and Castel Sant' Angelo, this tastefully decorated place was everything we needed it. 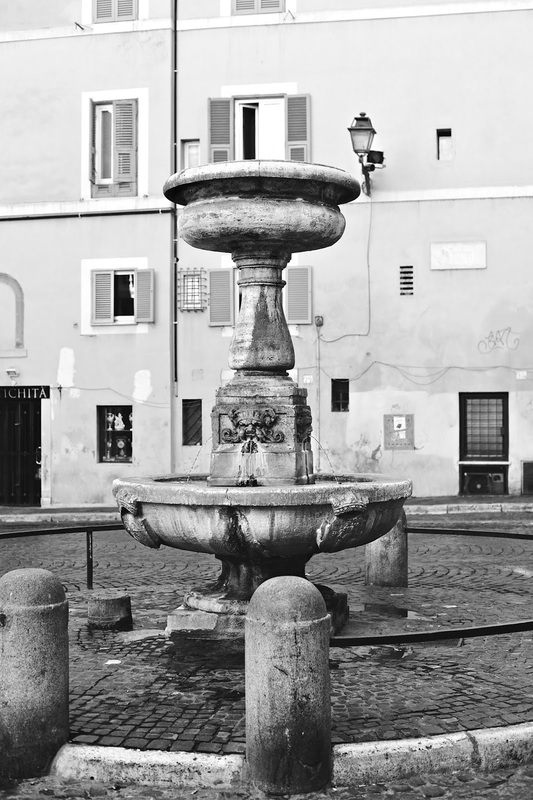 Crossing my favorite square in Rome early in the morning or late in the evening was a celebration for me because Piazza Navona is a romantic movie by itself, especially after dark. 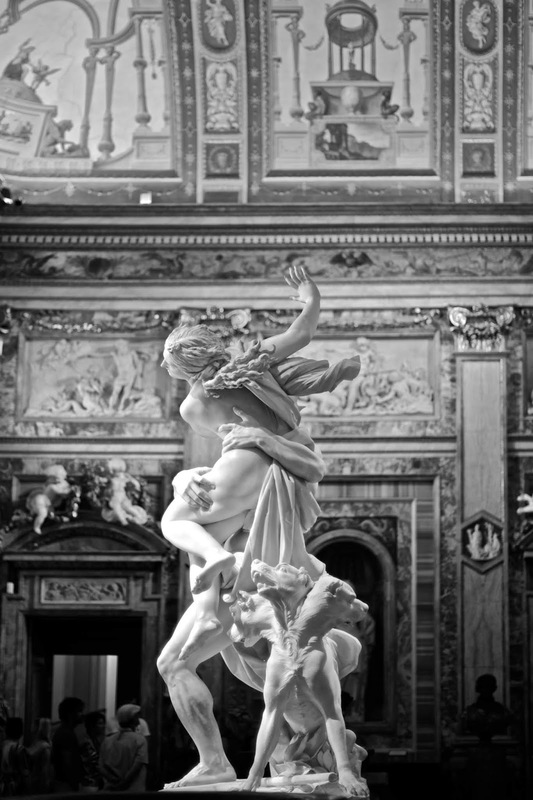 Galleria Borghese is a definite must for every art lover. 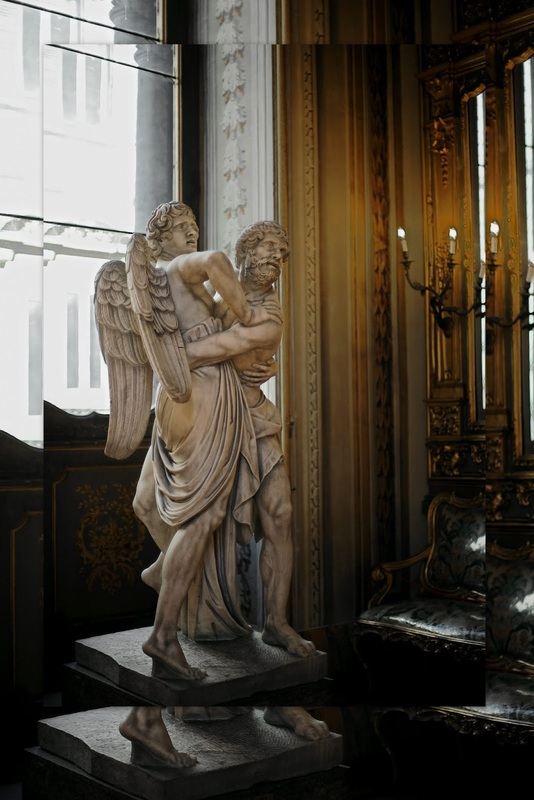 You are surrounded by a remarkable group of paintings and sculptures collected by Cardinal Borghese. 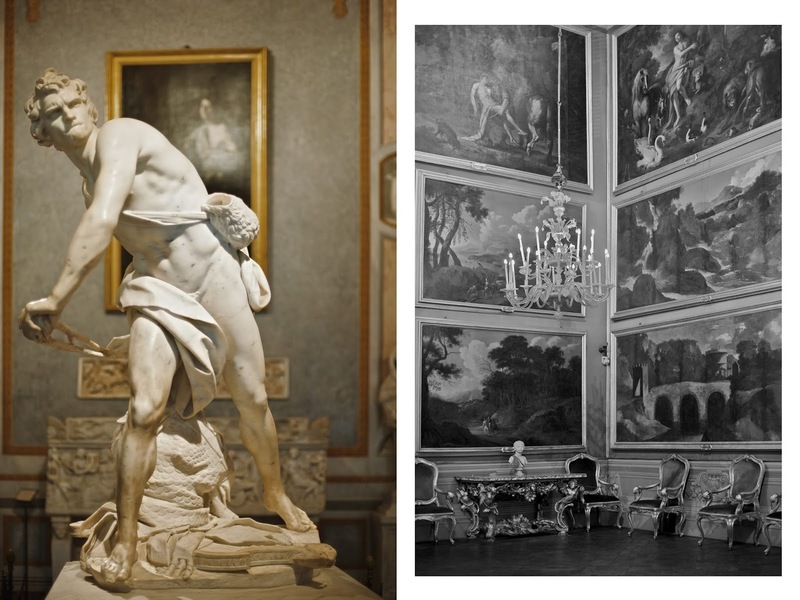 He undoubtedly knew how to pick artists – Raphael, Titian, Caravaggio, Botticelli, Bellini, Rubens and, of course, Bernini to name a few. Booking in advance is mandatory and only those with pre-paid tickets will be let in the mansion. 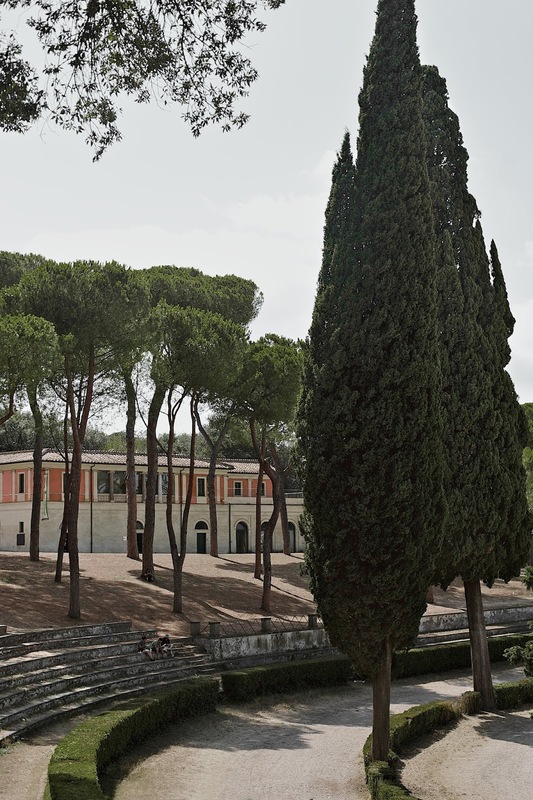 Feeling dazed by the astonishing pieces of art, rest in the beautiful Borghese Gardens and perhaps have a picnic. 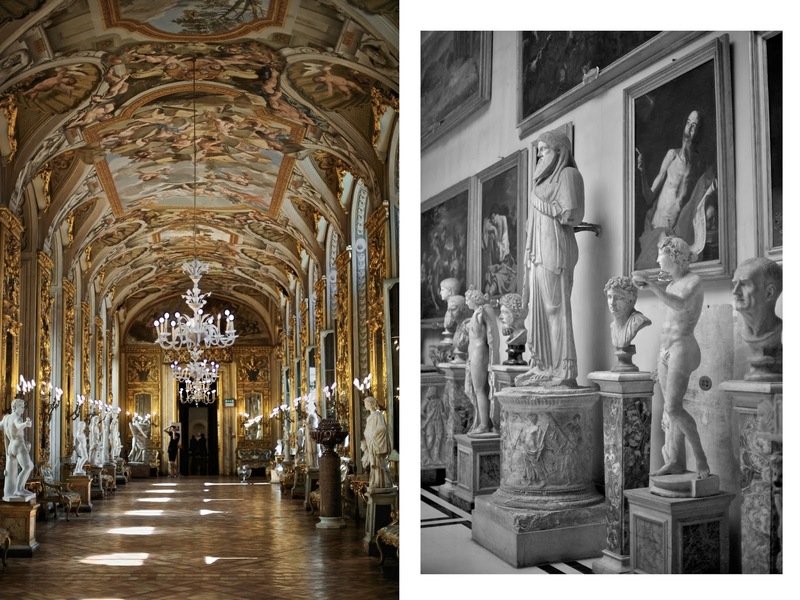 Palazzo Doria Pamphili is a private gallery of the Pamphili family and has some exquisite masterpieces, paintings, sculptures, and furniture. 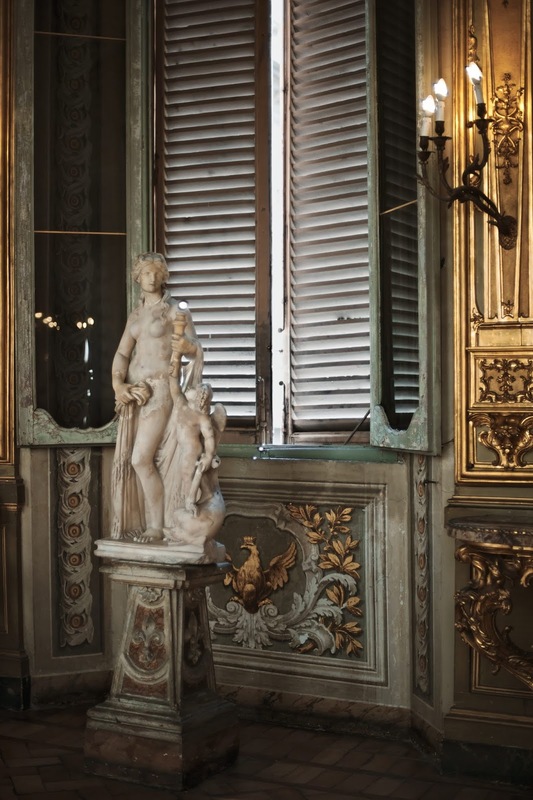 But it is even more special because of the beautiful chapel and the rococo design of a stunning hall of mirrors, brought from Venice – smaller than that in Versailles, but equally beautiful, in my opinion. 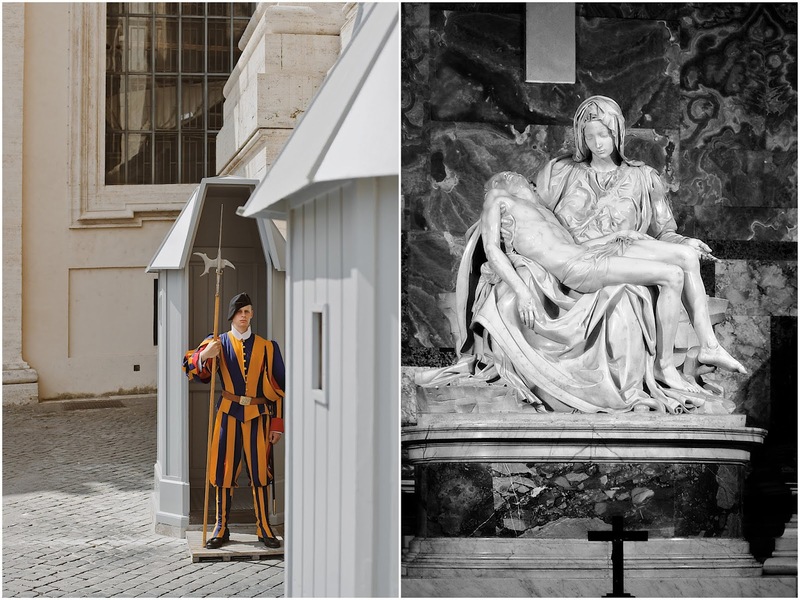 Pop into whatever churches you pass by. 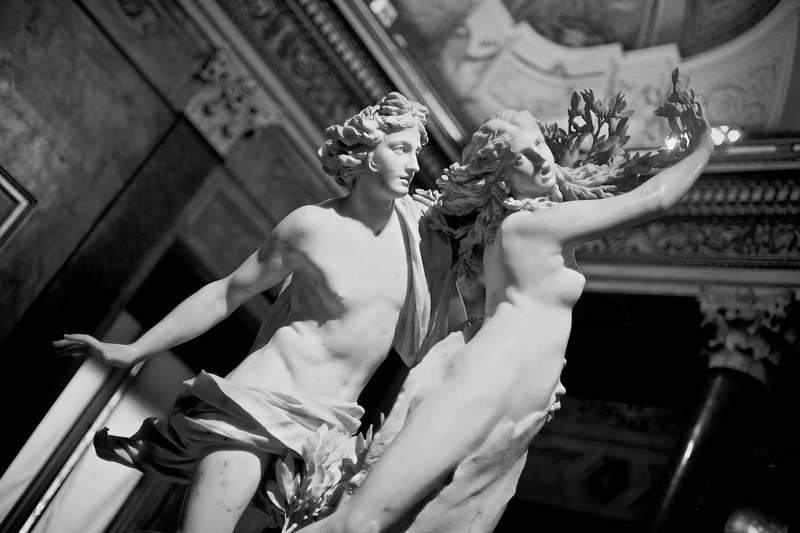 More often than not they exemplify high aesthetic standards – artistically, architecturally and historically. 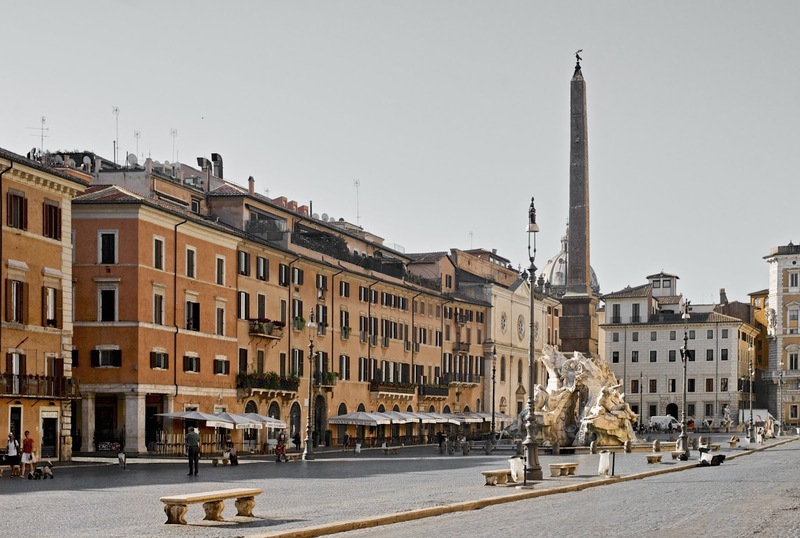 Santa Maria della Pace is a beautiful tiny church off Piazza Navona. 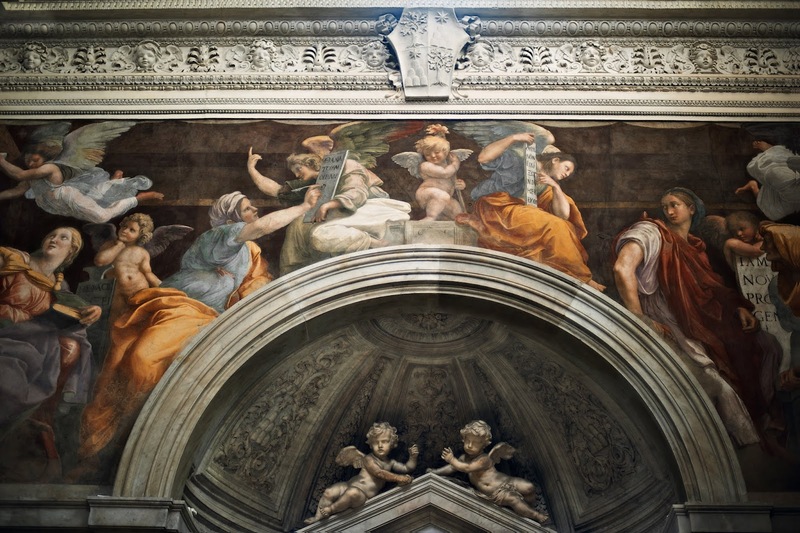 Here you can see Raphael's fresco Sibyls (1514) influenced by Michelangelo's Sistine Chapel ceiling, according to historians (my first photo). 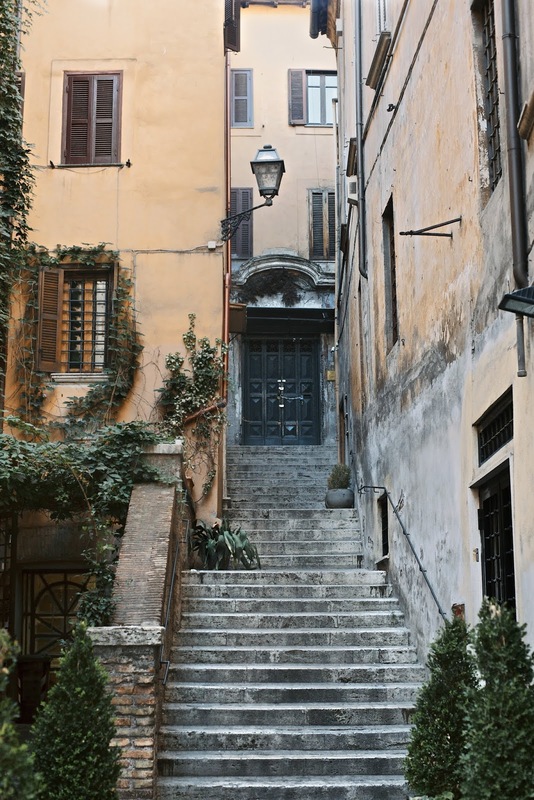 Saint Ignatius is a seemingly hidden away church, not too far from the Pantheon. 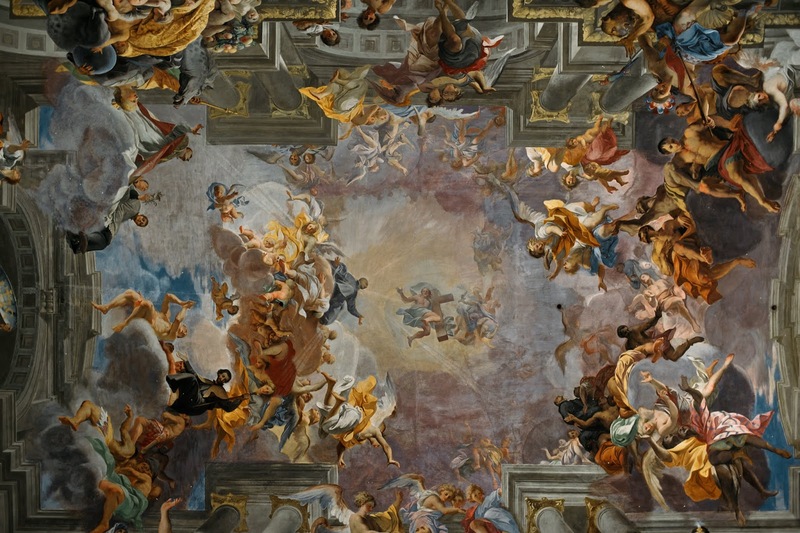 Inside of the beautiful building, you will be surprised by the stunning stretched-across the ceiling fresco of Andrea Pozzo celebrating the work of Saint Ignatius and the Society of Jesus. 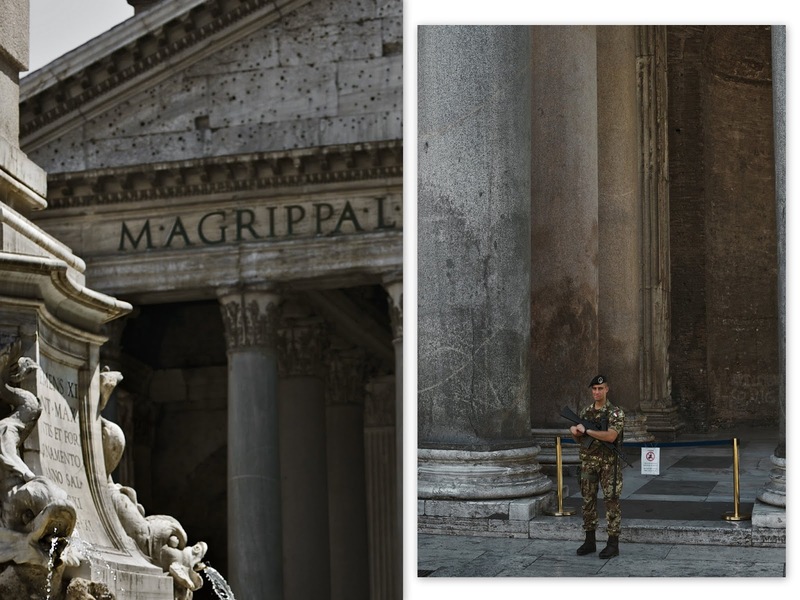 What is striking about the work is that it creates an illusionary dome using the forced perspective, 3D effect. 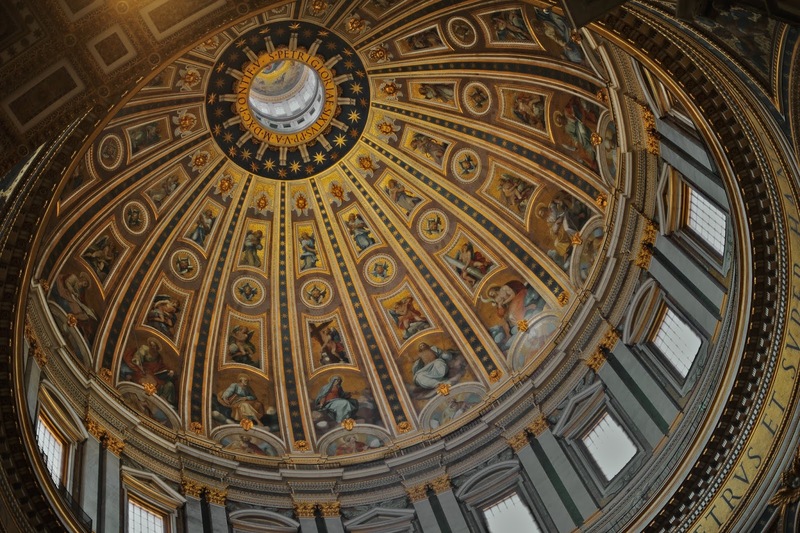 History says that funds to build a dome were lacking, hence Pozzo was hired to paint the optical illusion. 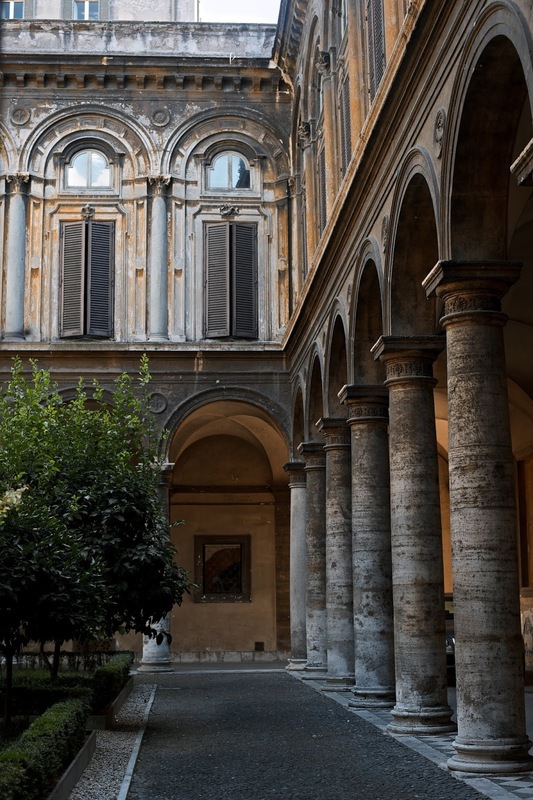 Chiostro del Bramante is a cultural center, a museum, spread on a Renaissance architecture which was originally a monastery complex. 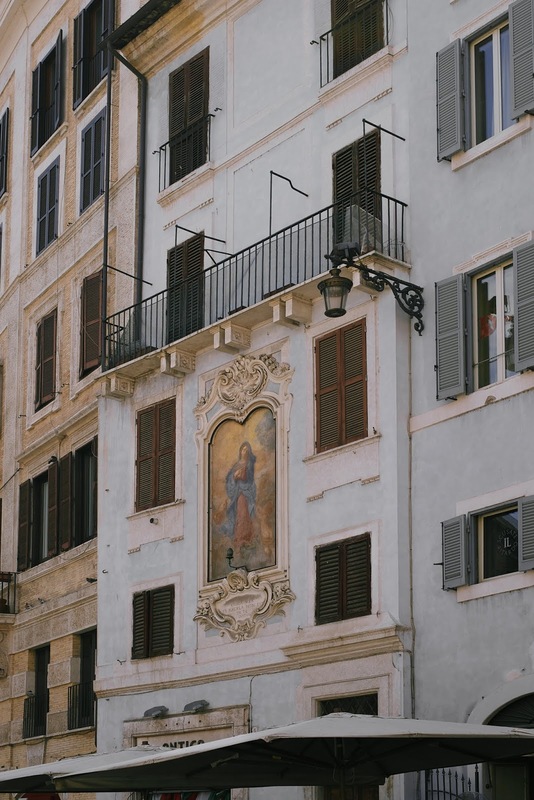 It is located right beside the Basilica Santa Maria della Pace and Raphael's fresco Sibyls is visible from a specially adapted window in the so-called Sibyls room. It is a space for exhibitions, concerts, and learning programs. Sit for a coffee at the Bistro-Cafeteria and buy a book from the bookshop. 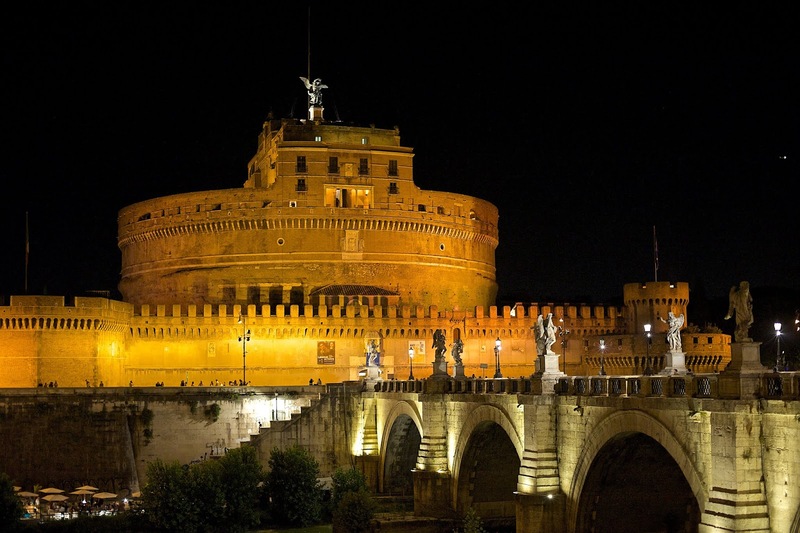 Castel Sant' Angelo is a must for various reasons. 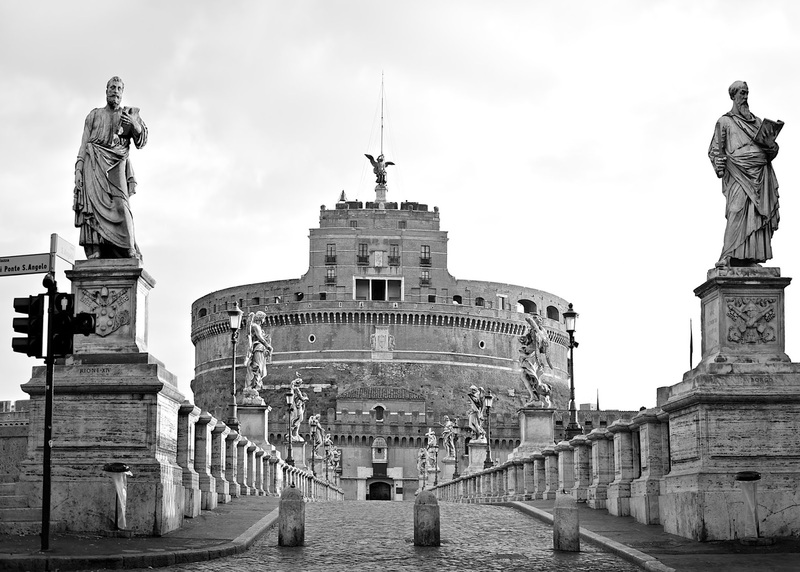 Walking across Ponte Saint's Angelo where you can pause and admire Bernini's stunning design of marble angel statues, you can reach this special castle which offers stories about the Eternal City that other monuments may not give. 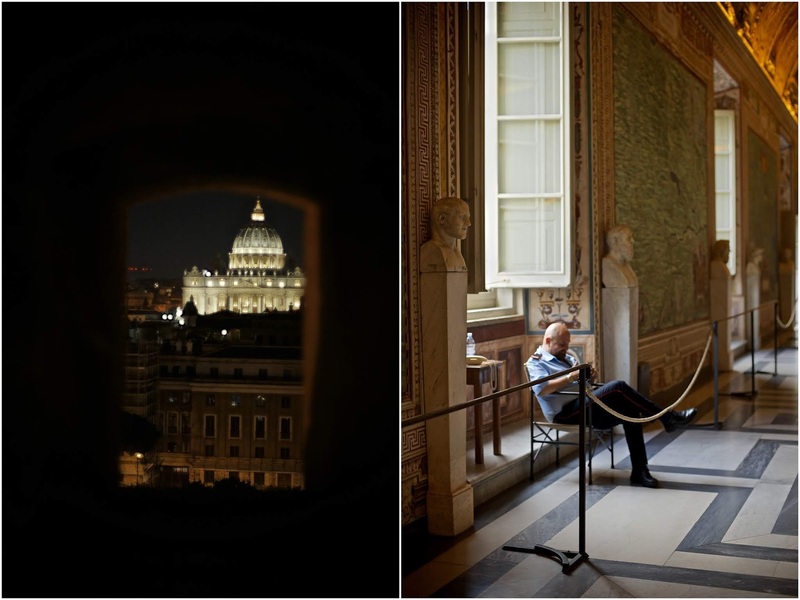 Visit later in the afternoon and climb to the upper terrace of the remarkable architecture for a gorgeous view of Rome under a beautiful sunset. 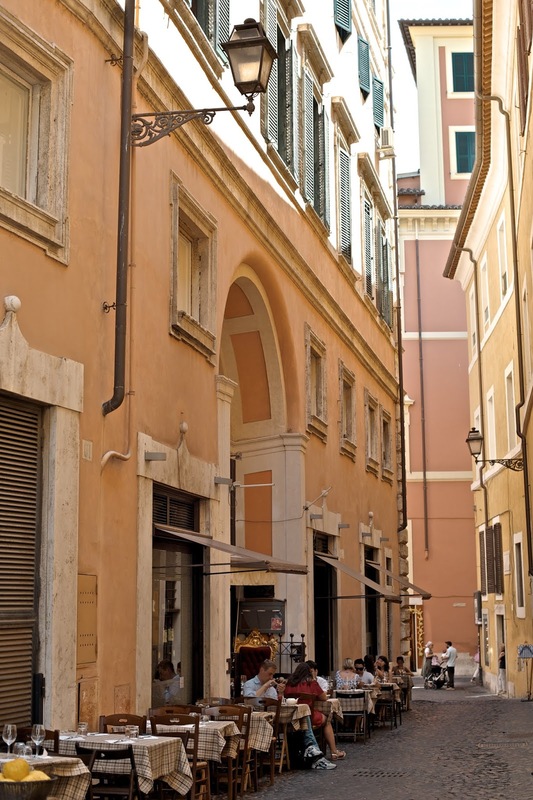 This large terrace is, in fact, the one from which Puccini's heroine jump to her death in his opera Tosca. 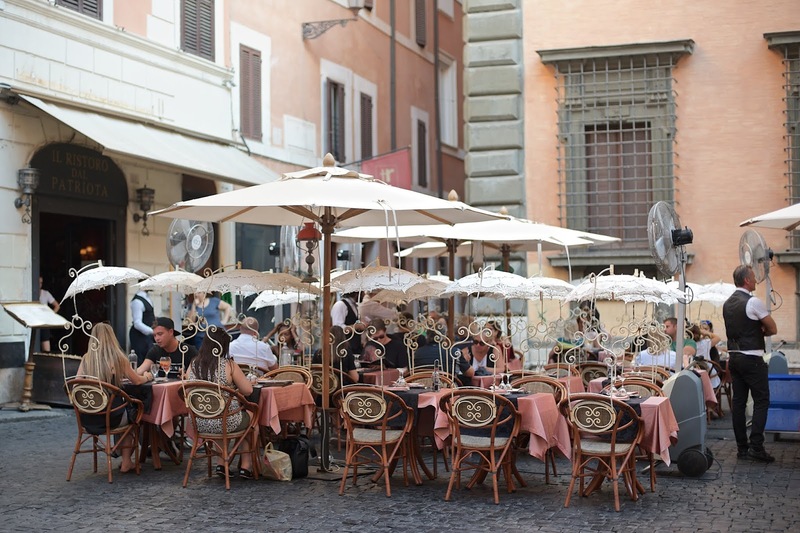 Have an espresso at the bar with a fantastic view of Vatican City while waiting until 10:30pm to visit Passetto di Borgo. 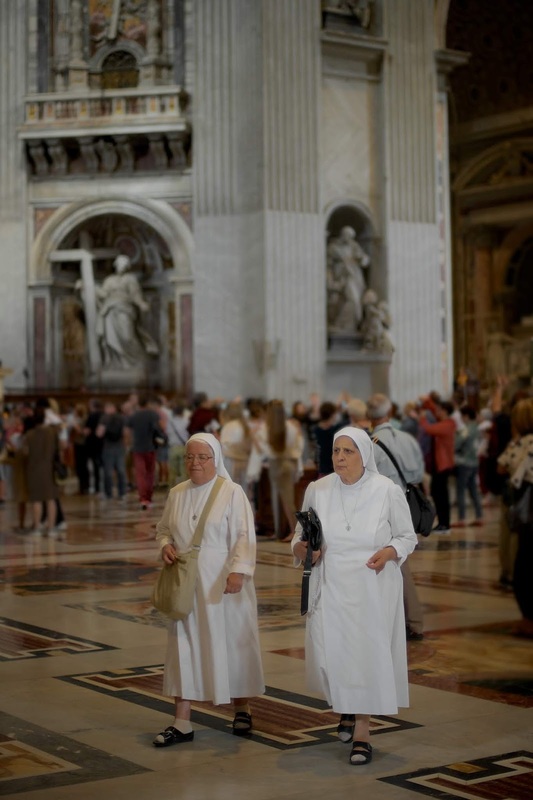 It is a passageway that runs 2,600 feet from St. Peter's Basilica to the Castel and several popes have used it as an emergency escape route. To walk through the old corridor at night is quite an experience. 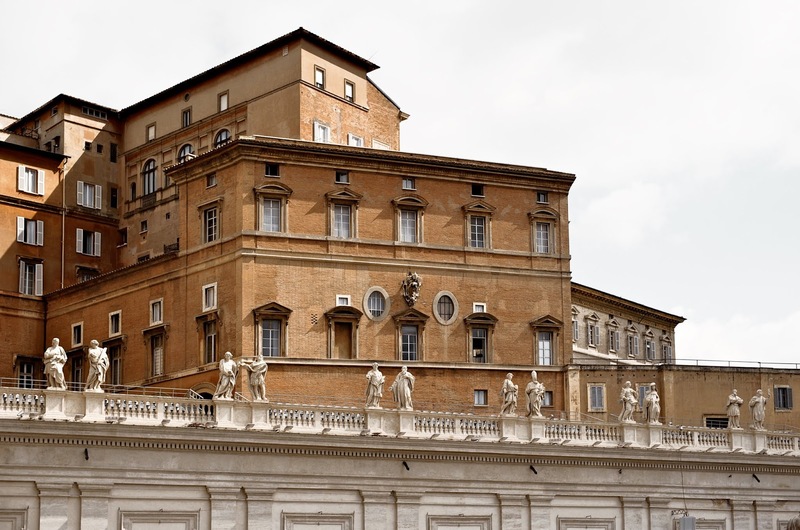 I highly recommend this small company's Privileged Entrance Vaticana Tour. 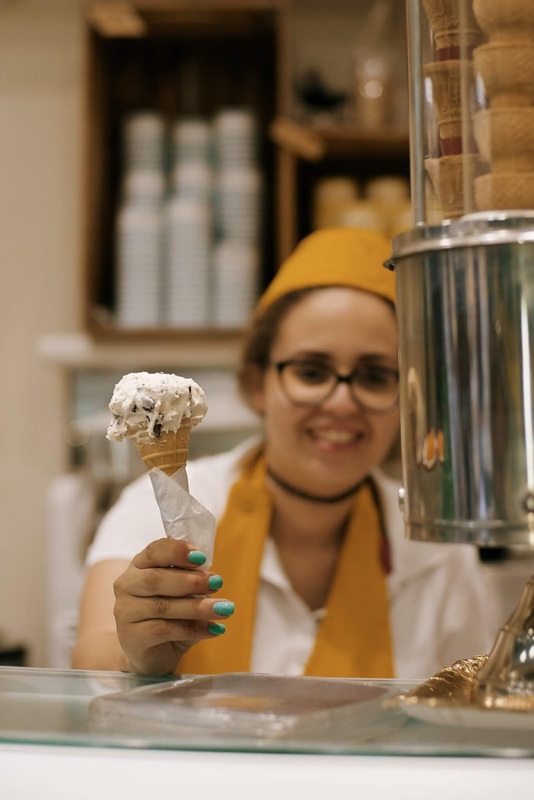 If you are lucky, you would be led by Raffaela. 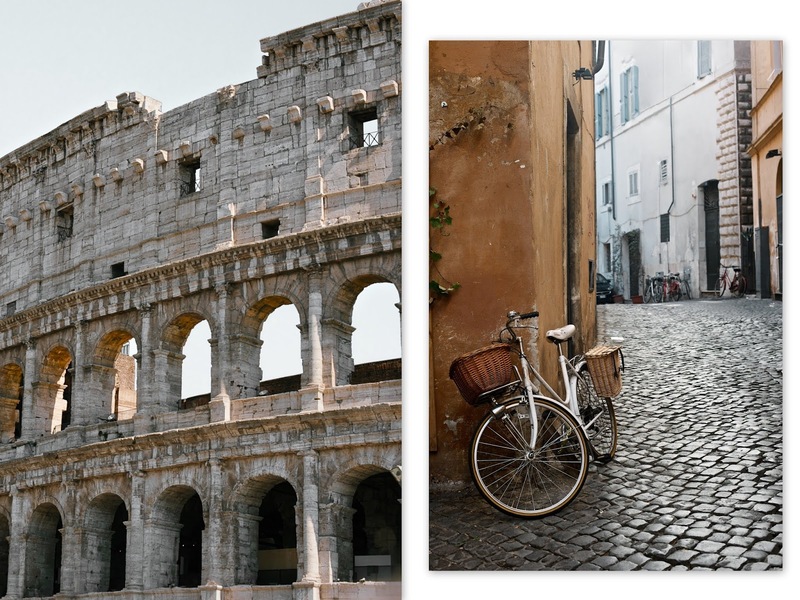 Born and raised in Rome, she is a proud Roman gal with a great personality and a pocket full of known and unknown stories about her favorite place in the world. 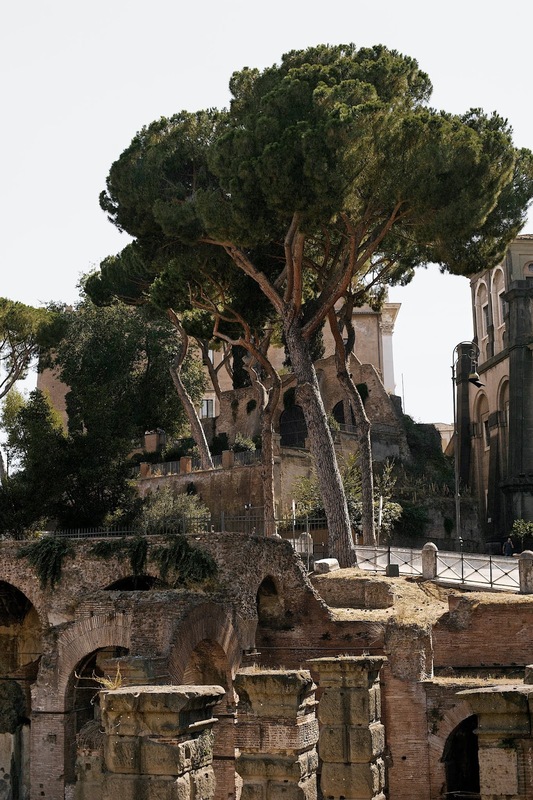 What a magnificent post about Rome! I felt like I was there!! Definitely on my bucket list now. Thank you. I am happy to hear that, Donna! Thank you very much! In fact, it was the explicit intention of the article.